The poems in Scriptorium are primarily concerned with questions of religious authority. The medieval scriptorium, the central image of the collection, stands for that authority but also for its subversion; it is both a place where religious ideas are codified in writing and a place where an individual scribe might, with a sly movement of the pen, express unorthodox religious thoughts and experiences. In addition to exploring the ways language is used, or abused, to claim religious authority, Scriptorium also addresses the authority of the vernacular in various time periods and places, particularly in the Appalachian slang of the author’s East Tennessee upbringing. 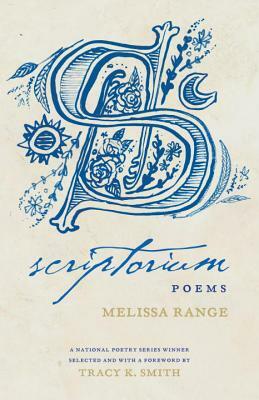 Throughout Scriptorium, the historical mingles with the personal: poems about medieval art, theology, and verse share space with poems that chronicle personal struggles with faith and doubt.